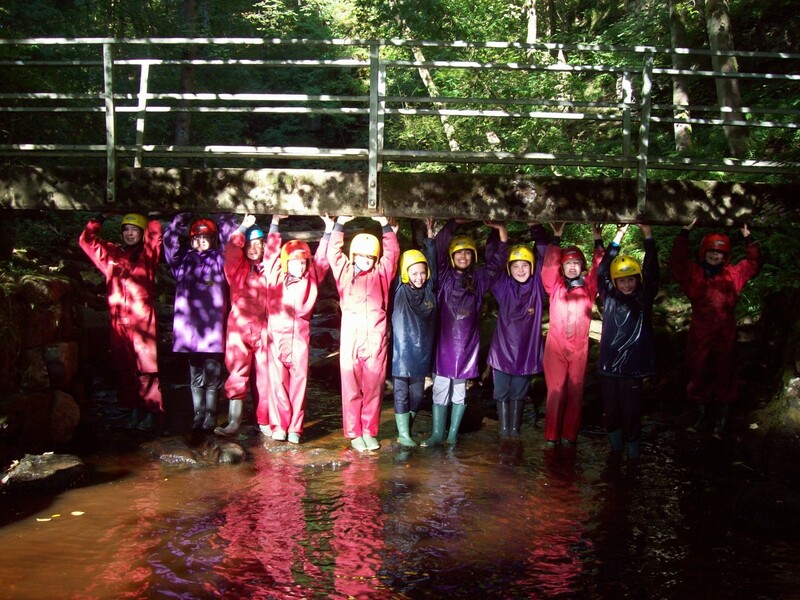 This September, a group of Sherburn Hungate School pupils got involved with an important ecological investigation at Low Mill Outdoor Centre in the Yorkshire Dales. During one of the groups’ stream study periods, the students found a dead crayfish. The identification of the species was not 100% clear at first – however this particular identification was vital, as the location of the beck is an important area in the UK where the British native White-clawed crayfish still has a stronghold. As yet this site does not have recorded sightings of the invasive Signal crayfish, but that may be about to change! Pupils at Sherburn Hungate are on the case! Originally from North America, the Signal crayfish was introduced to Sweden and Finland in the 1960s and spread rapidly throughout Europe. They are the most abundant of the introduced crayfish in the UK and now spread along many rivers, streams and canals throughout the UK. They have a ferocious appetite and a considerable impact on other freshwater animals, as well as damaging our river banks through burrowing. The Signal crayfish carry crayfish plague and compete with the White-clawed crayfish for shelter, much in the same way as the Grey Squirrel does with the Red Squirrel. If the crayfish our class had found was indeed a Signal crayfish, it would be the first in this part of the Yorkshire Dales and a significant, yet disturbing, find. After the students and staff had tried to make a positive identification, more expert advice was sought and the local park ranger from the Yorkshire Dales National Park was asked. He also wanted another opinion and soon contacted a representative from The Yorkshire Dales River Trust. After considering the photographs sent and using the ID key attached, everyone reached the considered opinion that this was indeed still Austropotamobius pallipes, the native White-clawed crayfish. Everyone was relieved that this delicate part of the ecosystem remains free from the invasive American species for now.